Hartsyard's famous fried chicken is back! 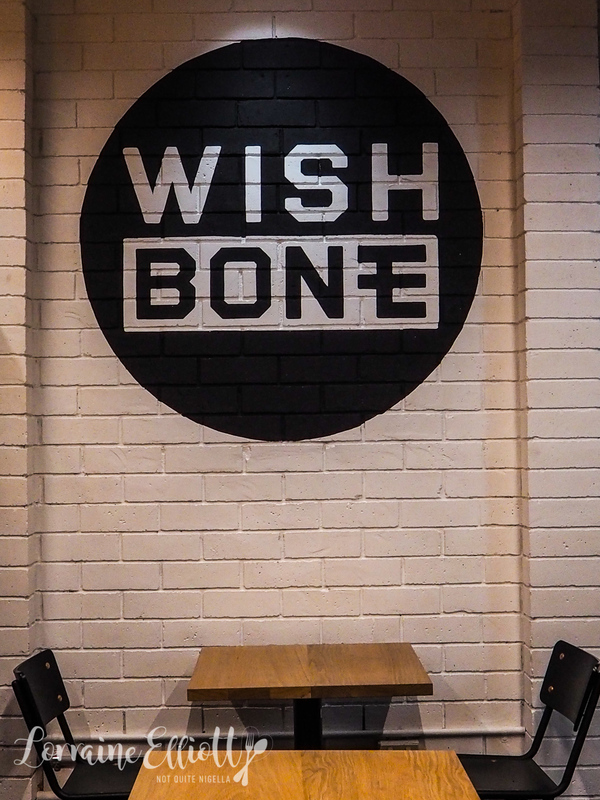 Wish Bone is the newest incarnation of the space formerly known as The Gretz. The theme is subtle but for motor enthusiasts it is apparent. Gregory Llewellyn and Naomi Hart have partnered up with friends at Mighty Car Mods to bring back the dish that everyone loved but was taken off the menu at Hartsyard. So is it the same and what else is on the menu? 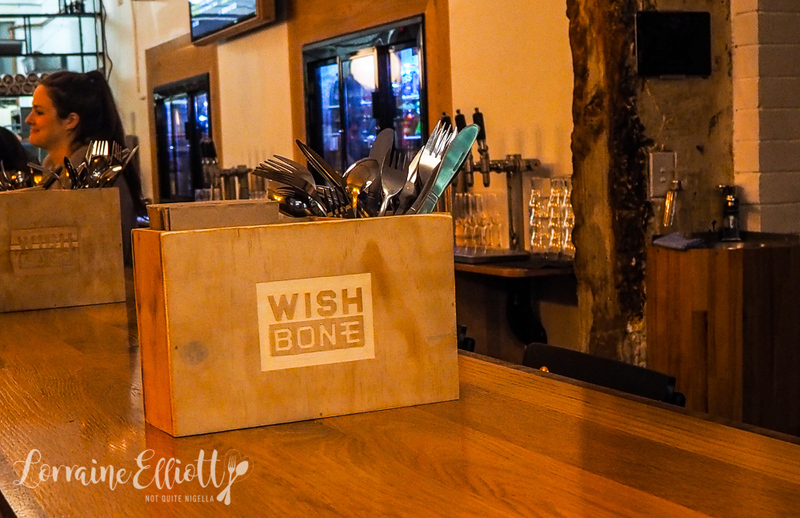 Everything at Wish Bone has been carefully thought out. 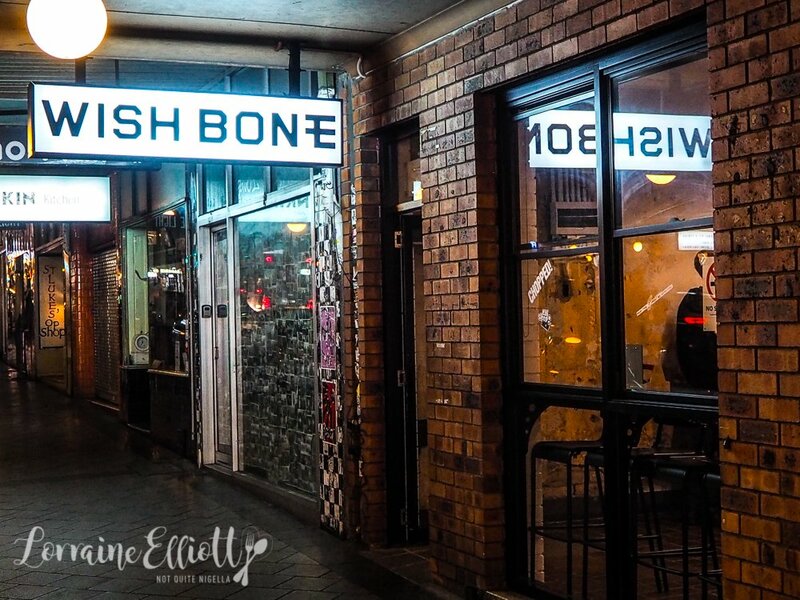 Even the name Wish Bone is a clever nod to both partnerships with a reference to the chicken bone and the suspension. Service is one of Hartyard's fortes and unlike what one might expect at a small bar/fried chicken place, there's someone to greet you and show you to a table. The motoring theme is everywhere on the menu but it's also in the interiors too. 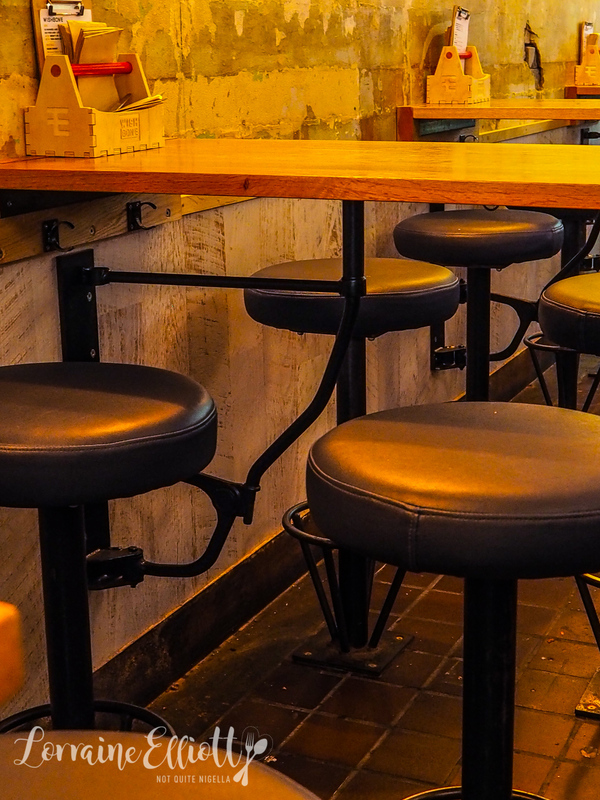 Look underneath the bar tables for the wishbone suspension. Along the bar are finishes like copper wire drift stitching (all of these are new terms to me) and even the E in the logo looks like a gear stick. 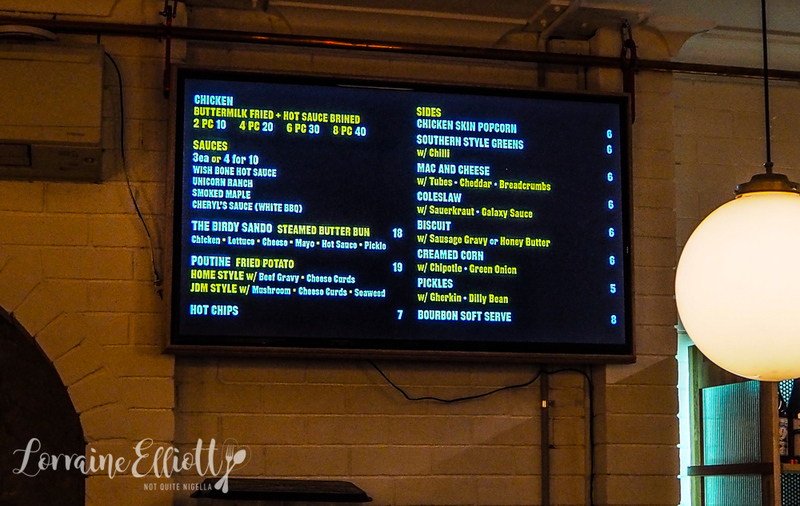 The menu is illuminated on the wall. If you had a group of 6 or 8 you could probably try the whole thing. 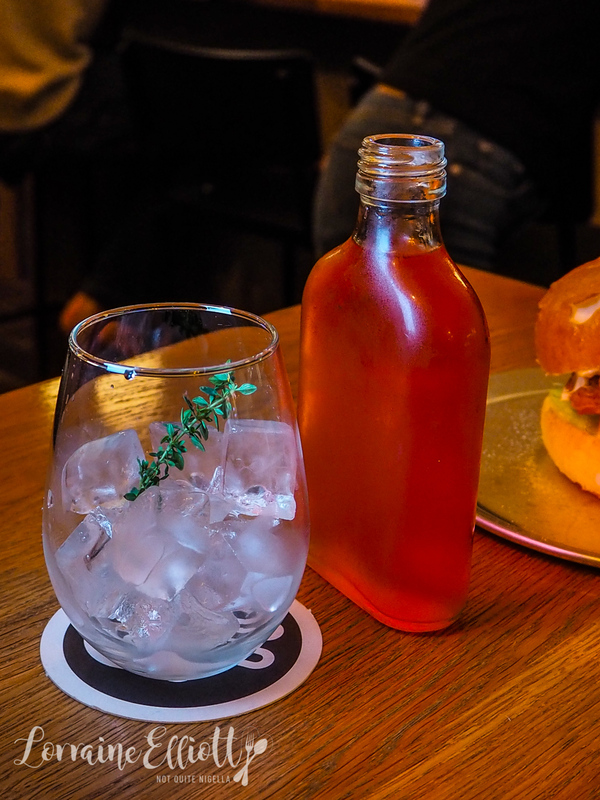 The drinks list consists of beer, wine, alcoholic slushies or cocktails in bottles. We try the 2Sexy and it is pretty damn perfect with gin, lemon thyme, watermelon shrub and pampelle. So the chicken that they received hate mail over after taking it off the Hartsyard menu is back and it's exactly the same. 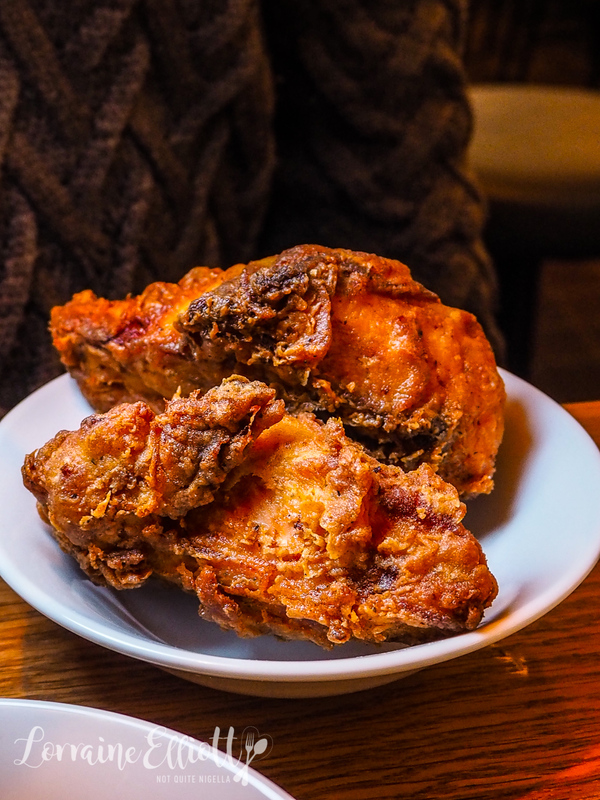 It's not an ordinary sort of fried chicken, once I got the Hartsyard cookbook I realised that I would probably never ever make it as it was quite complicated and would simply happily hand over cash to eat the succulent fried chicken here. There is a difference though - there isn't the bottle of hot sauce on the side, that you'll have to pay extra for. And for once I'm going to say that I don't know if getting all four sauces is necessary. I love creamy sauces but the two favourites with the chicken are the Wish Bone hot sauce and the smoked maple, even together (sweet and spicy, a winning combination). The other two are a ranch sauce sprinkled with ranch seasoning and Cheryl's white bbq sauce, a version of Alabama ivory sauce with plenty of garlic, lemon juice and mustard. I had to sk who Cheryl is and I'm told she is a joke made in the MCM videos. The Birdy Sando is a chicken burger but the fried chicken in this is different from the fried chicken pieces. 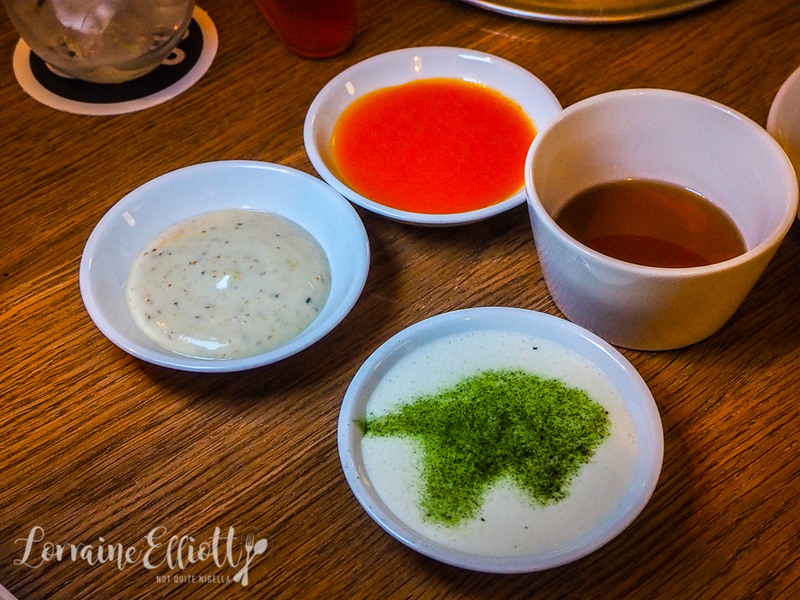 Gregory said that he loves ranch dressing but on a burger it is too messy and drippy so they took the flavours of ranch and made it into a green powder (the same powder on the unicorn ranch dressing) to become the dry rub on the chicken fillet. This burger and the fried chicken are my two favourite things on the menu. 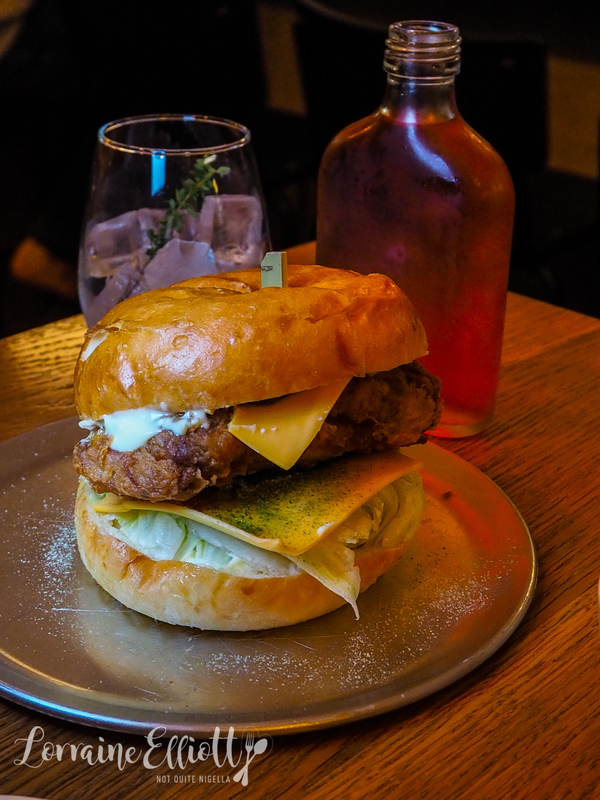 The chicken comes on a soft steamed butter bun with the creamiest mayo (Gregory's tip: lots of egg yolks), American cheese, pickles and lots of iceberg lettuce. I love lettuce in burgers and completely appreciate the stack of the leaves on this. I eat more than my share of this burger. JDN is another MCM reference and stands for "Japanese Domestic Market". 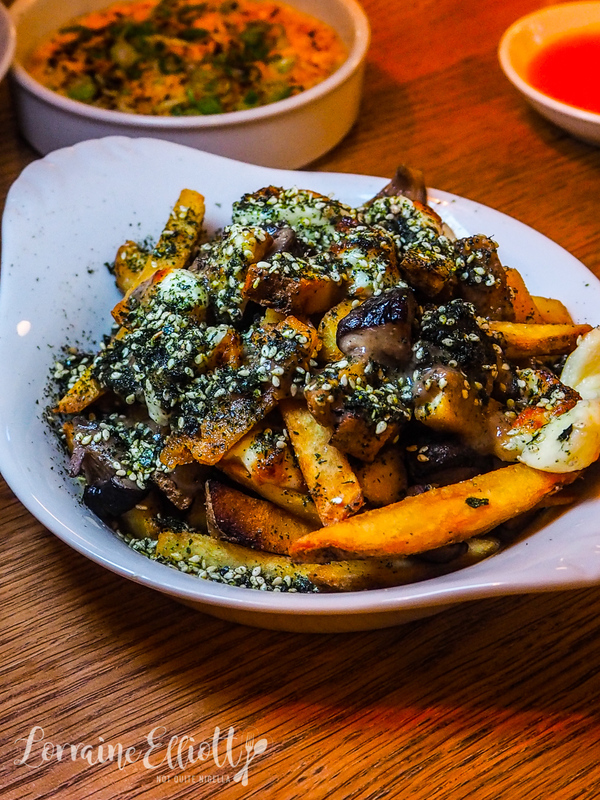 There are two types of poutine, the regular kind with beef and beef gravy and this is the vegetarian version with mushrooms, mushroom gravy, cheese curds, black and white sesame seeds and seaweed sprinkles. It's as gutsy and full flavoured as a beef version. 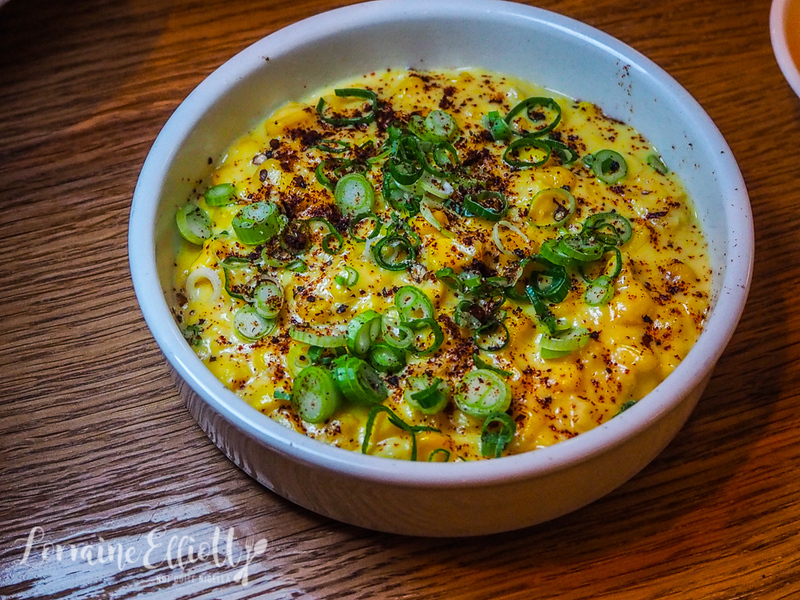 We ended up ordering two sides: the creamed corn with chipotle and a blanket of green onions on top. This is sweet corn heaven and my favourite side of the two, especially as fried chicken and poutine can be on the dry side. 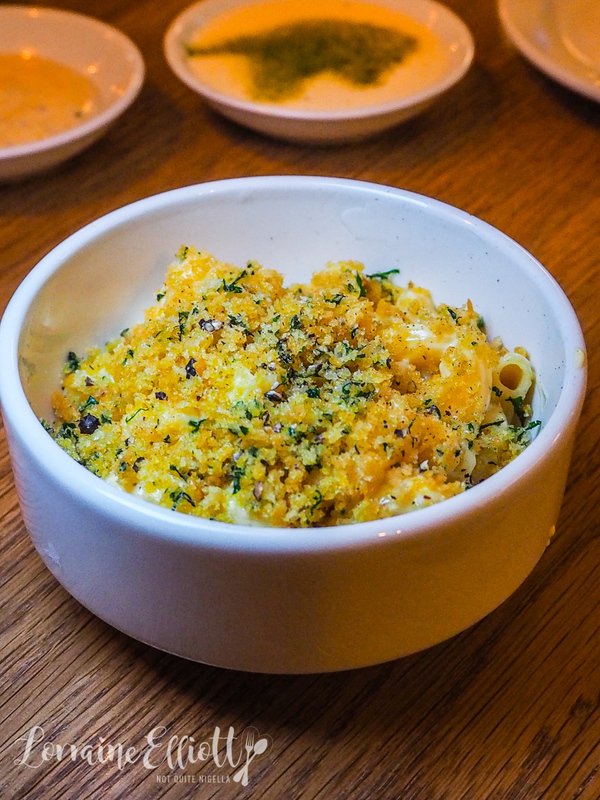 The mac and cheese is described as "tubes, cheddar and breadcrumbs" and it is a super crunchy version of mac and cheese. Perfect for the colder weather. Well you've got to eat your greens right? 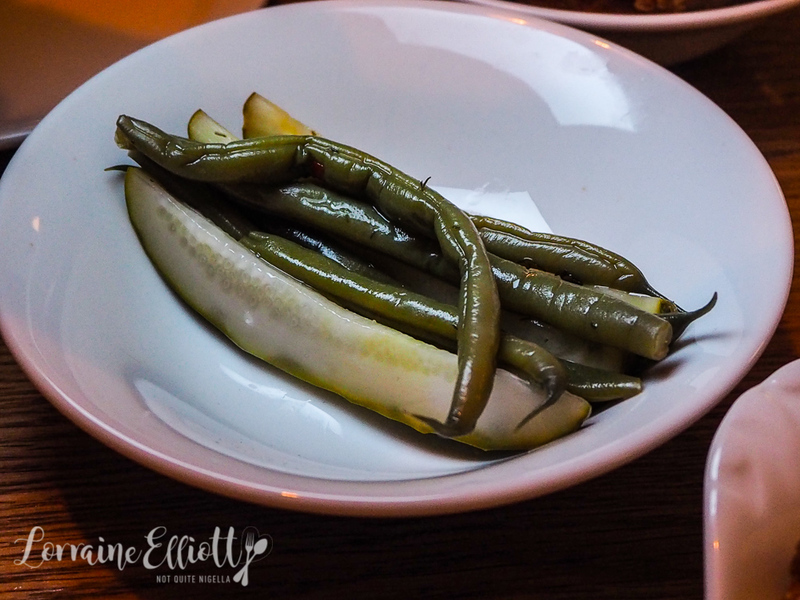 Nothing balances fried chicken better than pickles and these green bean and cucumber pickles are tangy, salty and moreish. 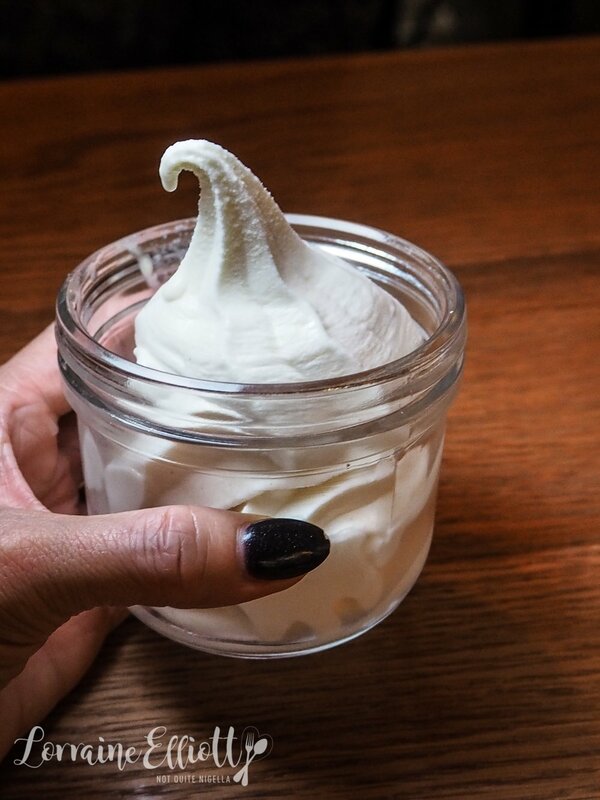 There's just one dessert, a Bourbon soft serve, a pared down version of Hartsyard's soft serve. It comes out in a glass jar and has a distinct twang of Bourbon with the icey creaminess. So tell me Dear Reader, did you ever try the Hartsyard chicken? Do you like lettuce on burgers? And would you ever write hate mail to a restaurant if they removed a menu item? Did you pick up on any of the car references or terms? 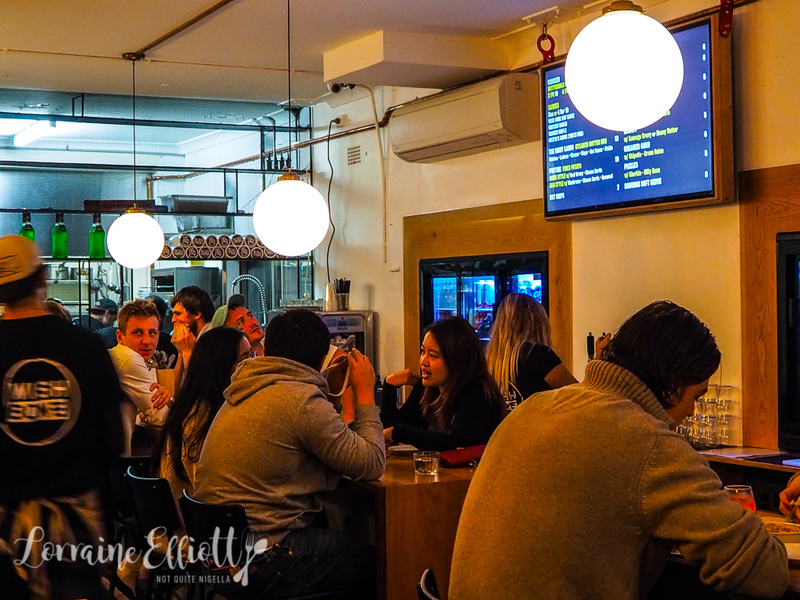 restaurantThe New Hartsyard 2.0 Is Here & It's Nothing Like It Used To Be!